The ‘Green Glow’ Air Jordan 6 GS is another exclusive that will be released this weekend. 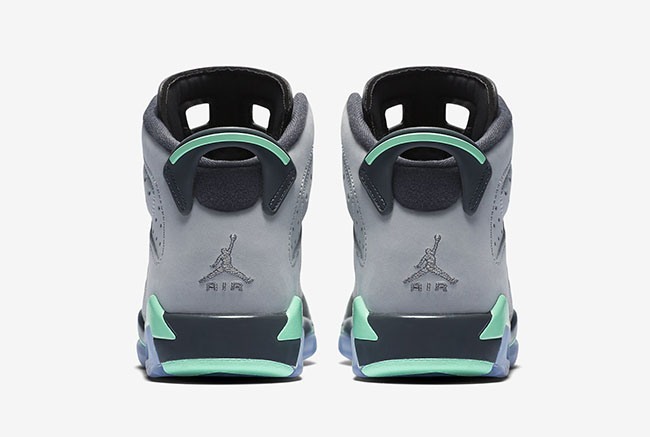 The sneaker is dressed in a grey upper with pops of green detailing throughout. 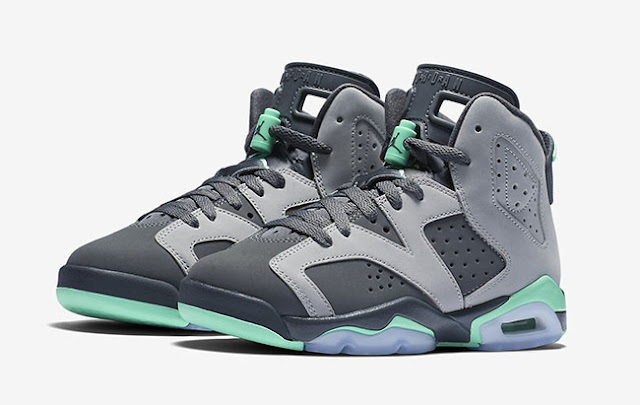 The ‘Green Glow’ Air Jordan 6 GS is crafted with hard-wearing synthetic nylon. To complement the dark shade of grey on the base, lighter overlays have been included and cover the heel region. 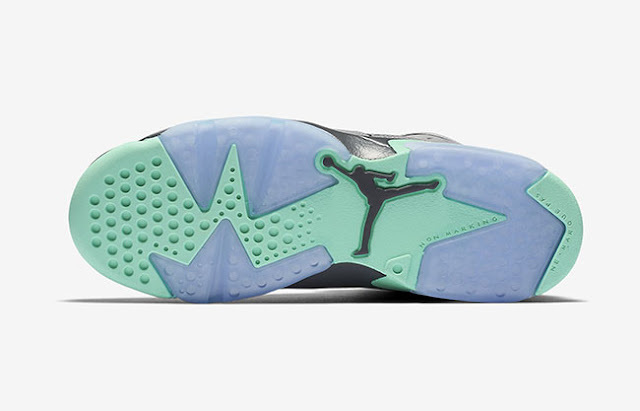 It’s the 'Green Glow' detailing which offers that stand-out sheen, this can be found on the midsole, heel and lace toggle. The sneaker also glows in the dark. 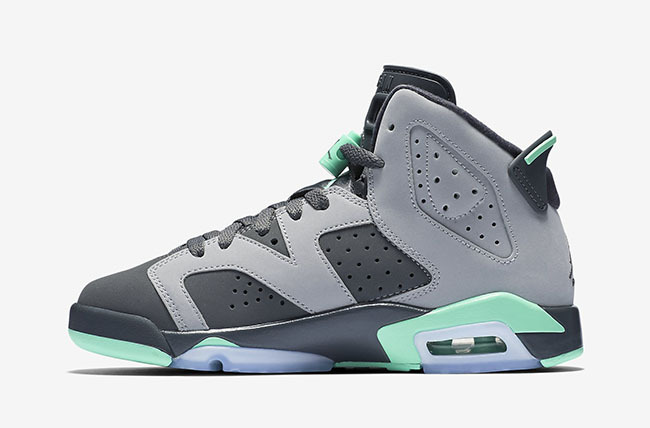 The ‘Green Glow’ Air Jordan 6 GS will be available at selected retailers.